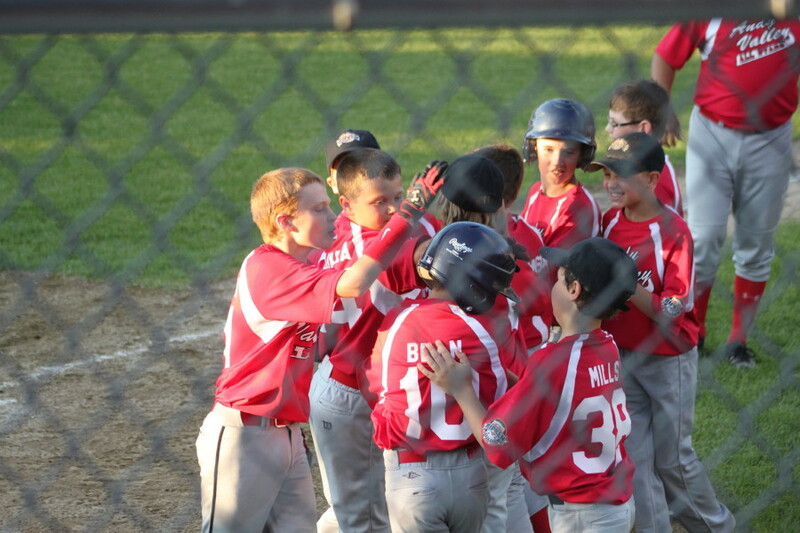 Andy Valley team celebrates 10-9 win over Skowhegan. 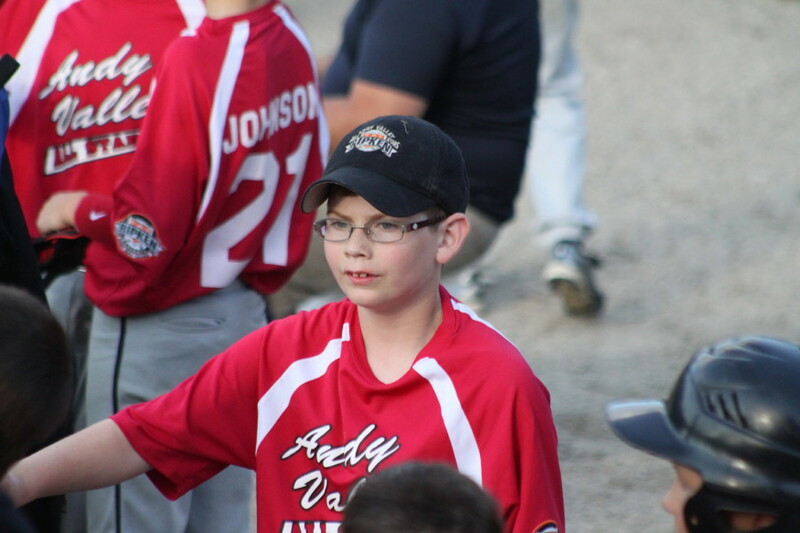 (Harrison ME) Andy Valley edged Skowhegan, 10-9, in an eight-inning thriller at RADR Field on Monday afternoon in the Cal Ripken State 10’s baseball tournament. 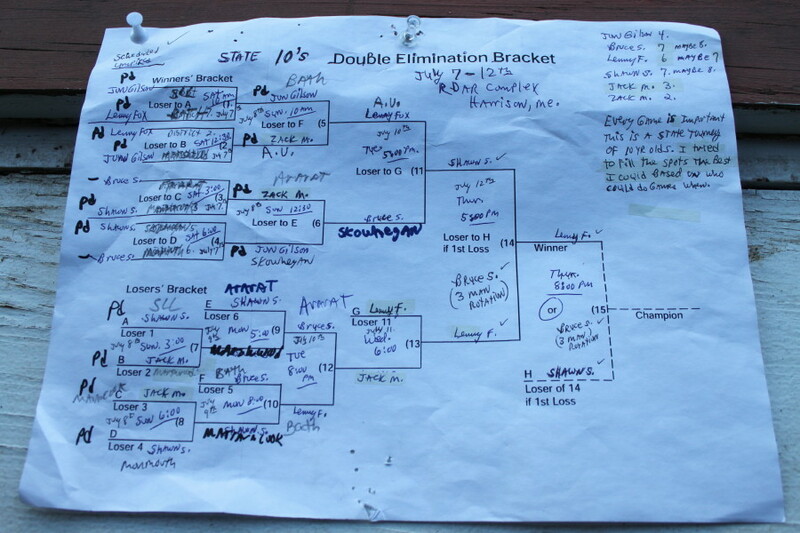 AV is undefeated after three games in the double-elimination tourney but were fortunate to escape with a win against hard-hitting Skowhegan on this day. Skowhegan will need a victory in their next game at Harrison at 6PM on Wednesday to stay alive while Andy Valley plays at the same site on Thursday (5PM) chasing its fourth straight win. Andy Valley’s Rodney Bean drilled the game-winner over Skowhegan leftfielder Hunter Washburn’s head, delivering Janek Luksza from second in the bottom of the eighth. 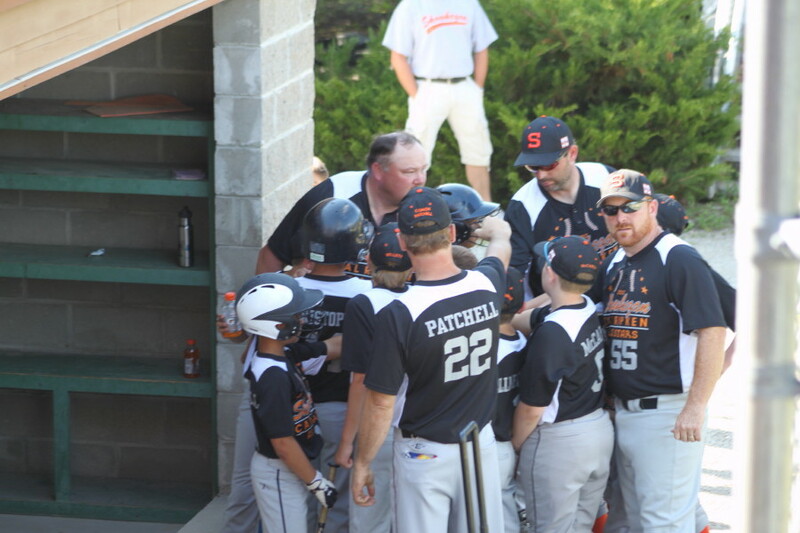 AV jumped ahead 8-3 in the first and that lead looked solid until the top of the last inning (sixth) when Skowhegan erupted with six runs on eight hits to grab an 9-8 advantage. But a Charlie Morton triple, followed by a Jake Mills single off second baseman Zeb Tibbett’s glove, brought Charlie home and sent the game into extra innings. “Glittering” is the only way to describe the chances for both teams in the seventh. Skowhegan had runners on second and third with no outs while AV had a runner (Keegan Chase) tagged out at the plate on David Obert’s throw from right field. 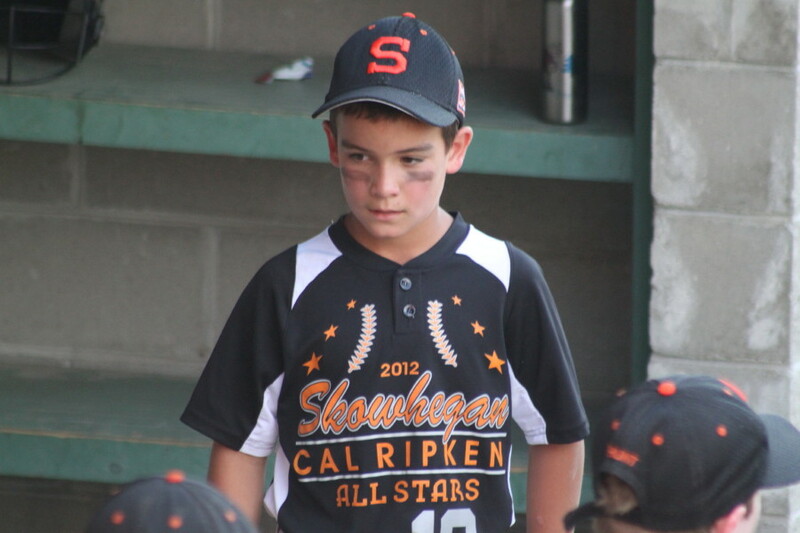 “Super glittering” would best describe Skowhegan’s chance in the eighth. They were issued three walks but had one runner thrown out stealing and another picked off first on a liner back to AV pitcher Jake Mills. AV finally won the game in the bottom of the eighth. They put the first two runners on with a walk and a botched fielder’s choice. A nice catch by Ryan Savage in center prolonged the inning but Rodney Bean’s hit was well over the leftfielder’s head and brought home the winning run. 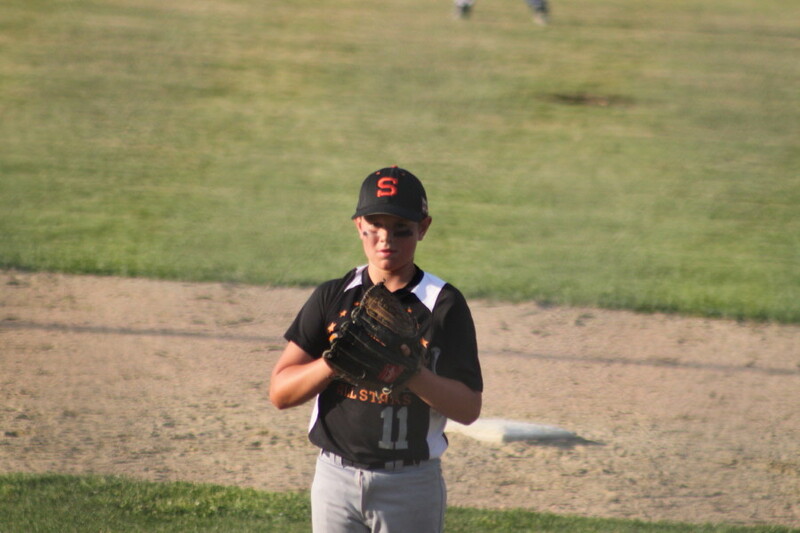 Skowhegan lost despite scoring nine runs, collecting eighteen hits, and leaving runners on in every inning. 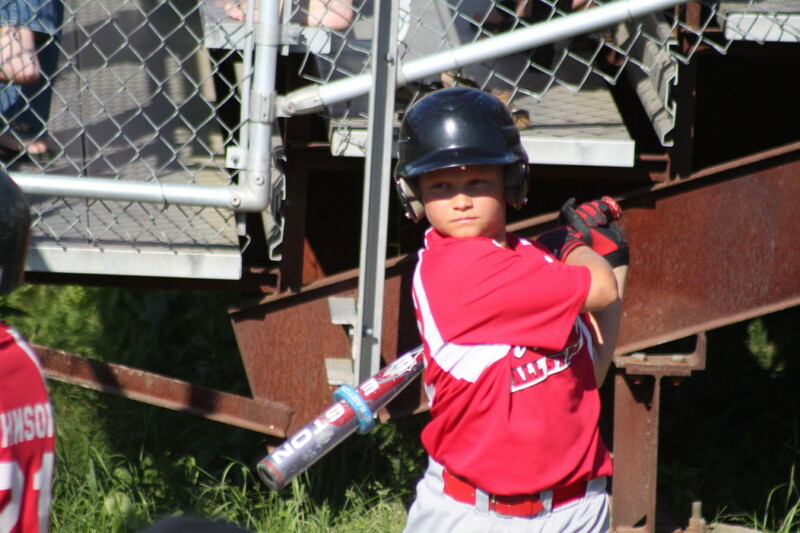 Lucas Patchell, Marcus Christopher, and Zeb Tibbetts each had three hits for Skowhegan. Ryan Savage drove in four runs with two hits. Charlie Morton and Jake Mills each had three hits for Andy Valley. 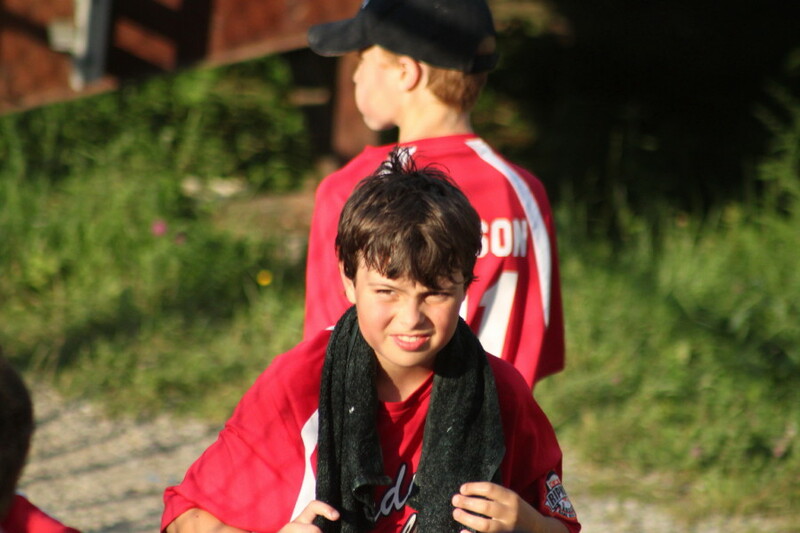 Jake also drove in four runs and got the win with two innings of scoreless relief. 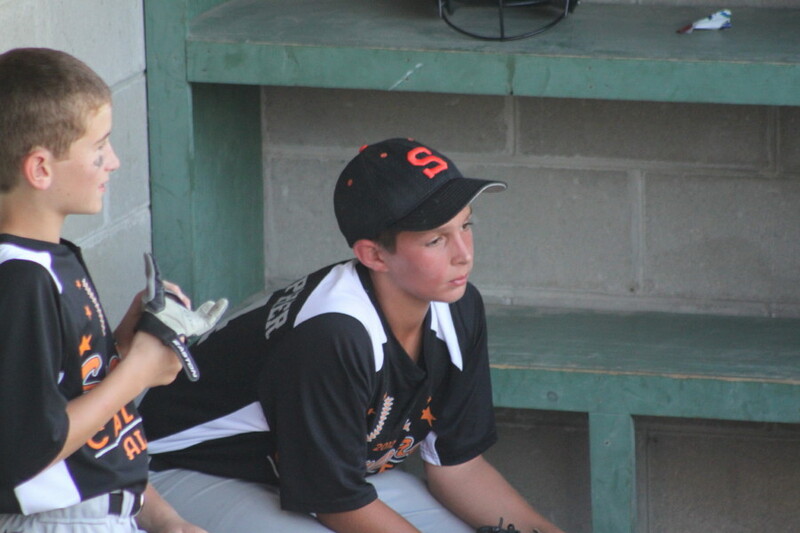 Marcus Christopher and Ryan Savage each pitched three innings for Skowhegan. Luke Patchell covered the last two. Wyatt Williamson pitched the first six innings for Andy Valley. AV centerfielder Riley Volpe saved a couple of runs in the fourth with his catch of a line drive. The press box at RADR Field was an excellent place from which to view a game. The only drawback was the fencing that limited picture taking. On the other hand, that fencing did offer protection to someone was limited reflexes!